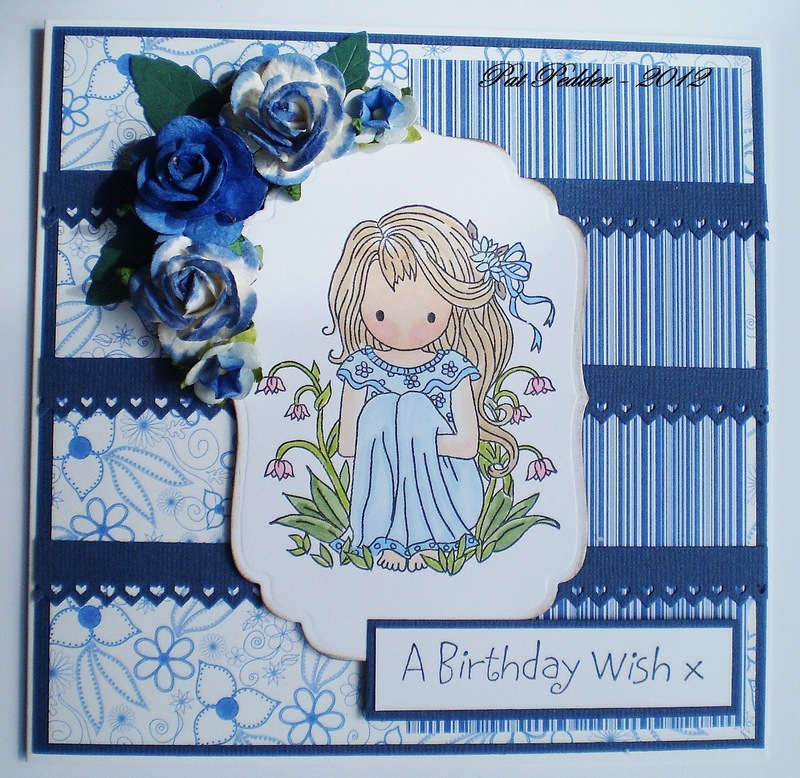 Beautiful card, luv your colours and layout. It's lovely Pat. The image is so sweet and I love your spray of blue roses. This is truly a blue card. The flowers are the perfect touch for this card. Thanks for joining us this week at OSAAT, and hope to see you back next week. A gorgeous card Pat, your design is fabulous and I love the colouring. Your LOTV image is adorable and your details are stunning. Oh my word Pat this is a little beauty that image is sooo cute and I love the colours of blue, terrific card. What a beautiful little image and gorgeous card!! Thanks so much for joining us on the Simon Says Stamp Challenge blog. Super sweet card, I love these colors! Thank you for playing along with us at Inky Impressions Challenge this week!